Living in Williamstown North and looking for a gardener that can deliver the results you want? Gardening Angel is that gardening team you can rely on. For years, we have been providing our gardening services to the residents of Williamstown North with a straightforward focus: delivering a high-quality service that is based on what you want. Whether you are after a cleaning job, the perfect trimmed hedges or the best lawn, then we are the team you can trust. If you want to know more about our services, then reach out and speak to us directly on 0467 001 100. You can also reach us by filling out our online form, and we will get back to you as soon as possible. Is the outdoors of your home a mess? Finding spots of mud and dirt everywhere? Well, take a second, pick up the phone and contact us now! When it comes to making a home in Williamstown North sparkle, we can deliver the best results for you. Our advanced high-pressure cleaning service is the best you can get for with your money. We will provide a cleaning service that will give your home back its sparkle and shine – and we will do it all for the best value on the market! Are you over digging out the weeds from your lawn? Sick of having to cut it, but find that it’s all uneven? We can help you then with our lawn mowing service. 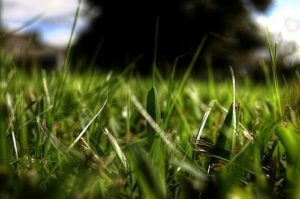 We have one goal when it comes to our lawn mowing service: ensuring that you get the lawn you want at the end of it, regardless of any difficulties we face. All you have to do is tell us what you want regarding length, shape, and designs, and we will deliver it to you. After the perfect cut for your garden? Want your landscape to stand out from the rest of the homes on your block? Get the gardening trimming service that is going to make the difference for you. With years of experience behind our belt, steady hands, advanced equipment and an eye for detailed designs, we can provide you with the hedge trimming service that will blow your mind. Get a garden that is going to make your neighbours jealous like never before. For the best hedge trimming service in Derrimut, speak to one of our team today. At Gardening Angels we strive to provide a quick and efficient service all over Melbourne, we also do landscaping services in Williams landing, get in touch today!